The car into building incident happened at 405 N. Frederick Ave in Gaithersburg just after midnight, authorities added. 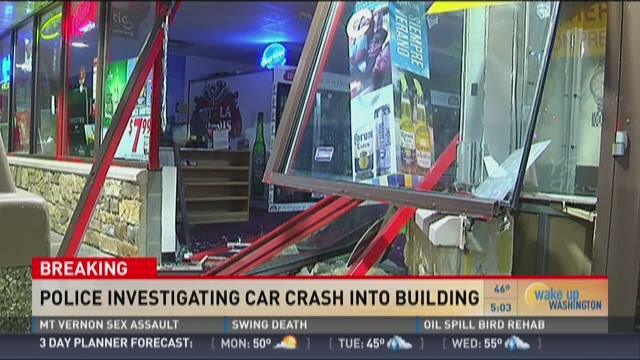 Police said the driver, a 19-year-old woman was the under the influence of alcohol when she smashed her car into the store. The passenger in the car, a 27-year-old man switched seats with the woman and then fled the scene.The car was found a few minutes away from the scene in the 1100 block of Travis Avenue. The woman was arrested and charged with DUI, police said. The man was arrested for hit and run because he drove away from the scene. It is still unclear at this time if this was an accident or a break-in attempt, police said.